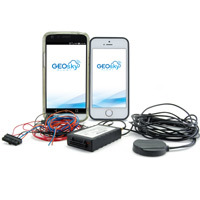 Receive a FREE Month with GeoSky Alert Car Tracker at Pelican Parts! Whether it's a collector car, work truck, or daily driver our vehicles represent a significant and often irreplaceable investment. GeoSky Alert is a cutting edge personal vehicle tracking and monitoring solution. Enjoy peace of mind knowing that your car is secure whether you're at home or on the road. From now until August 9th purchase one year of service and receive one month free.